Reviewed By ChloePetLandia Ltd is a company that cares for Pets, therefore all beds are hand made and designed with great love and passion! We have total control over the quality of materials used in all our beds – no matter whether indoors or outdoors, with PetLandia your pet will be comfortable and relaxed! Designed to keep your pet warm and comfortable our beds are high quality pet beds covered in a heavy duty hard wearing Codura which is a modern technical fabric making sure the bed will be with you for years and years! They are strong, durable, waterproof, scratch-resistant fabric to insulate your Pet from the cold floor and keep it out of draughts. The thick base cushion is removable and washable. 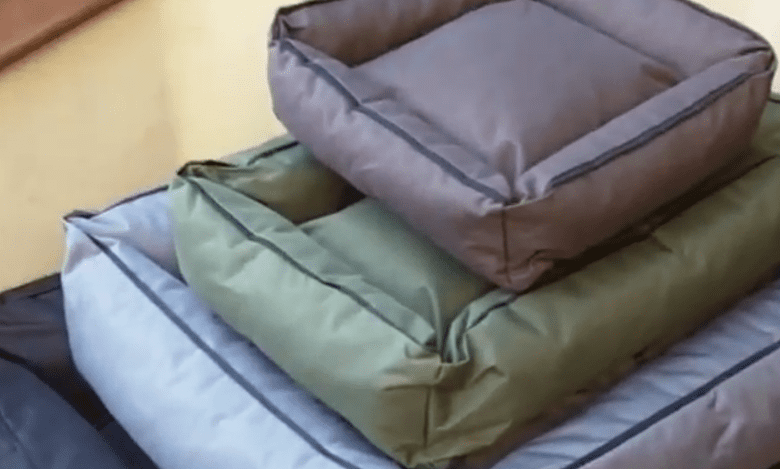 If you’re looking for a waterproof dog bed, then look no further! Our beds are easy to keep clean, you can brush off loose dirt, wipe with a wet cloth and then rinse under a running tap, hose or even a pressure washer. Priced from only £19.99, the Superstar Dog Beds from PetLandia are available in sizes Small – Extra-Large in a choice of five stunning colours (Brown, Black, Grey, Red and Green). Visit online @ www.petlandia.co.uk for further information!